The Cherokee people strengthen ties with Folkmoot through the award of a grant from the Cherokee Preservation Foundation. 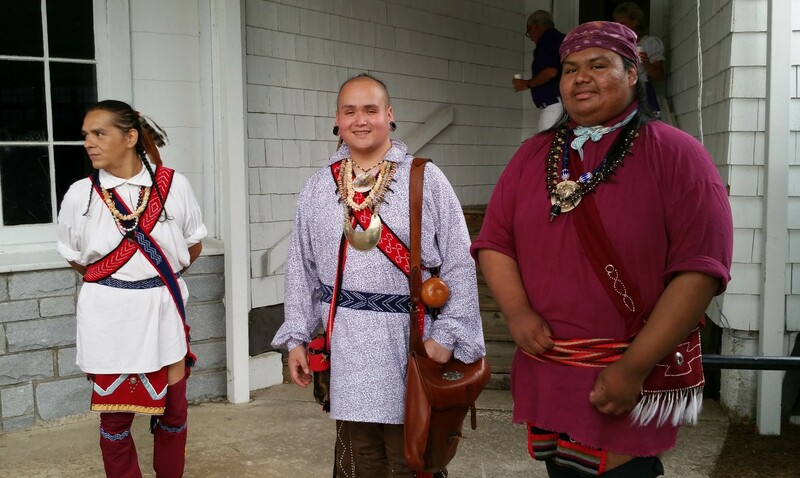 The Folkmoot grant was one of 20 individual grants announced Monday by the Cherokee Preservation Foundation. The grants are awarded to partners which “meet the Foundation’s mission of improving the quality of life for the Eastern Band of the Cherokee Indian (EBCI) and the surrounding region,” according to the Foundation. The complete list of Foundation grantees is published in the Cherokee One Feather, a link to which is here. In the past decade, the Foundation has handed out over $166 million in grants and awards. It received in February the award for Outstanding Foundation Award from the Association of Fund-Raising Professionals. The Cherokee Preservation Foundation’s full mission is to “preserve our native culture, protect and enhance our natural environment, and create appropriate and diverse economic opportunities in order to improve the quality of life for the Eastern Band of Cherokee Indians (EBCI) and our neighbors in western North Carolina.